The recent survey and comments here and via the contact form suggest that the ACM needs some improvement. As I don't use it myself I'd appreciate help defining what should be done to it to make it more usable and useful. Fantastic! I't obviously as good as it needs to be so unless anyone has any suggestions I'll leave it as is. I have used and appreciated the ACM for my collection over the years, and it certainly covers my needs perfectly. Since I store boxes in boxes in boxes to save space when sets are not on display, I find the location field particularily useful so I know where each set is located (searching through hundreds of boxes for a single set is not fun!). The only tedious part of the functionality is having to click on the ACM icon and then on edit/save. It would be great to be able to have a on/off setting in ones own profile in order to have the ACM either always active when viewing my collection or not. No idea if that's feasible from a programming point of view, but I'd love it. 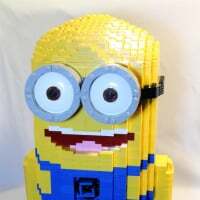 I'm not sure if the ACM is the place for it or not, but the feature I'd like to have is the ability to partition my collection as I do on Rebrickable. I keep track of my main collection, my kids collections, my spare minifigs (unopened), and my other unopened sets, all in separate lists on Rebrickable. Aside from not being able to do that here, there is an additional problem: the import from rebrickable is flawed: the inventory for any given item is overwritten by the last set list's inventory for that item. Example: Say I own 3 hotdog man minifigs, and my son owns 2, and my daughter owns one. During the import from Rebrickable, if my inventory is loaded last Brickset will show 3; if my daughter's is loaded last it will show 1, etc. Even if Brickset didn't support multiple collections within a collection, it'd be nice if it could import just one set list from rebrickable, or sum up multiple set lists. So in short, I'd like to be able to import my Rebrickable data and have it represented here as multiple lists within my collection, or to be able to filter out sub-collections. ^ my collection >set up flags, you can set up to 4 custom flags here on brickset which could be used to mark those "sub-collections"
Yes, I was going to suggest the same. Importing from Rebrickable into a specific one isn't possible at the moment but could be done I guess. Now that there is bricklink pricing available. Is it possible to have a current value of my collection calculated? This would be handy for insurance purposes. I appreciate the retail value that exists but since some have gone up and down in price its hard to update manually. I know bricklink has new, used, complete, sealed and incomplete. The acm stats could reflect this to give a better replacement value analysis. BrickLink does publish that information via the API so it's not beyond the realms of possibility. The flags feature, unless I'm missing something, doesn't let me say how many copies of a set are in each collection, not to mention that it also means I can't use the flags for anything else and am limited in the number of collections I can manage. For some reason this is the first time I've seen this thread. I use the ACM for every set I purchase (or get given). I find it's a nice place to store when I got everything and how much I paid. The only thing I'd say is that the whole process of using the ACM feels a little long-winded, as noted by @gratefulnat. I'm not sure how to improve that though, if I'm honest. Also, it's always seemed a little odd to me that the 'date acquired' doesn't have a calendar function behind it, which probably means you can't do anything with that field (such as sort sets by it). I suspect it'd be difficult to add that without messing up current data though. I've also just gone onto the ACM option from the menu, and have seen all the additional fields! I'm pretty sure I've never been on that page before. It'd be nice to have something on that page where you could list all your sets by different values - such as date acquired, cost, or location. That may well be doable using queries, but I've not tried. I may also be overcomplicating things. Date acquired was deliberately left free form to enable vague years or months to be entered, since not everyone know exact dates. But that does have the side effect of not being able to do much with the data. So, to summarise the comments above, it needs to be more usable/easier to access and with options to display the data in different ways? Is that a good start? Yeah I think that'd be good. One thing I thought of is that when you tick 'I own this set', the ACM could maybe pop-up automatically if it's enabled? I'm not sure if that'd be more of an annoyance than a help for some though. Or how about making it so that the 'I own' field in the set details expands downwards when ticked, to show the ACM below it? That'd be less intrusive than a pop-up, and more intuitive too. Maybe the ACM could show permanently like that on the set details page? I doubt whether there'd be space for all the fields though. I've never bothered using those. Didn't even realise what the initials were for, although I think I guessed that one of them was minifigs. The date acquired box can be used for sorting if the date is notated backwards - 20160211 for today. ^ Exactly. The MM/DD/YYYY and DD/MM/YYYY debate that seems to happen everywhere between Americans and Europe (or rest of world?) are ridiculous when YYYY/MM/DD is the most useful. Thats how I number directories for my photos so that stuff sorts automatically. ACM is great, and you're very close to having all the functionality needed not just for collectors, but casual sellers and even just gifters. I'm recently collecting so many Mixels that I want to start reselling extras. All I'd need to manage all my inventory from here would be a way to flag ACM columns as "Sold" to decrease the "I own" count without deleting the row. If you wanted, you could even include columns for how much it was sold for or to whom, but that can be in the future. The same could be done for gifts, so I could continue to use ACM to track my spending on Lego while not necessarily adding to my public collection. Interested in others' thoughts on this as well. So I use the ACM a lot and I've been using the'extra values'for a while as well. One thing that is a problem for me is that it's difficult to access it on a mobile. Even in landscape, with the extra values you can't get to the 'edit'button. Twice I've managed to scroll towards it but mostly it doesn't work. Maybe you need to have it in an exact spot? I understand it's not the most important thing but I like to put in things as soon as I buy them and computer is not always around. I've been able to just put my phone in landscape mode and on the mobile site scroll and fill in the ACM. A great improvement thanks. @PeteM can you add stuff/easily scroll on your phone in landscape now? Or do you still have to go into desktop mode? If there was a way to import a spreadsheet with the financial/purchase info including a loop to handle as many sets as you list in inventory to handle multiples of the same set? Using the ACM as it is, is very clunky. I'd like to add a "delete" option on each row, that way I know which one I'm selling. Very important for inventory management and to make sure it doesn't delete a NISB instead of an Assembled one etc. I just found this thread so it may be too late to have an effect of ACM improvements. I just posted the following message under Brickset Issues, but this is where it belongs. Sorry for the double post. Brickset has been a great place for me to keep track of my collection, and I thank the developers for the work they are doing. I have two suggestions that may make adding set details easier. First, allow copying an entire ACM entry, similar to the duplicate function, but allow pasting the entry into a different set. This would allow faster entry when entering a number of sets that were acquired on the same day or from the same vendor, such as an entire Minifig series. Second, when using the ACM entry form on my phone, the entire form is not visible, and I cannot scroll to hit the "edit" button. It would be helpful if the form were to automatically reformat based on the screen's dimensions. The ability to view and edit all ACM records on a single page. This would sort of be similar to the Export>edit in Excel>Import option, but being able to do it on a single web page. Sometimes I just want to see this data in one place (eg. on my phone), without having to do the Export every time. The ability to copy and paste records (as suggested by ArkansasBricker) on this single page would also be nice. Click a 'Copy' button/link next to a record, then click a 'Paste' button/link next to the other record/s Maybe with a preview of the new data before committing to the database and the option to cancel. It would also be nice if this single page could have drill-downs to only display records for certain themes/years/etc, and also drill-downs for ACM data. Such as ordering by ACM fields, only showing records that have certain fields left blank (to make it easier to update these records), etc. Lastly, it would be great if the ACM fields could become part of the Queries feature. It is great to be able to enter and store the ACM information, but it would also be great to be able to create reports from that data too. Thanks for your consideration on these suggestions. Another vote for the ACM fields to become part of the Queries feature here, would be great.